A must read! It will grab your attention from the very first page. Captivatingly filled with romance, rich with history, and scandalous with secrets -- you won't be able to put this novel down! Julia Elliot is a nurse practitioner working in a busy trauma room. She is good at her job and well respected by her colleagues—but she harbors a secret. One which has made her an outcast all of her life. Now able to suppress the visions of the future that have tormented her for as long as she can remember, she is living life on her terms—that is, until the fragility of her “normal life” is shattered when a vision breaches her defenses and sends her running back home to Savannah, Georgia. Once home, Julia learns the truth about her family: a genetic anomaly has woven its way through the generations … a gene that allows Julia to travel through time. But she is not the only living family member who has inherited this ability—her Great Uncle Eli has been using it to commit crimes under the cover of the Civil War in order to make himself more wealthy and powerful in the present. As the only other person in her family with the ability to time travel, it falls to Julia to stop Eli. Forced to travel to 1862, Julia must finally embrace her visions and learn to use them to escape with her life and reclaim her future. Julia’s plan to slip in and out of time to stop Eli without anyone being the wiser is shattered when she meets Confederate Captain Reave Montgomery. Julia finds herself equally attracted to and frustrated by Reave as his insistence on protecting her gets in the way of her hunt for Eli. As she investigates she discovers that Reave is doggedly hunting The Phantom, an elusive criminal mastermind, and Julia realizes their quests may be connected. 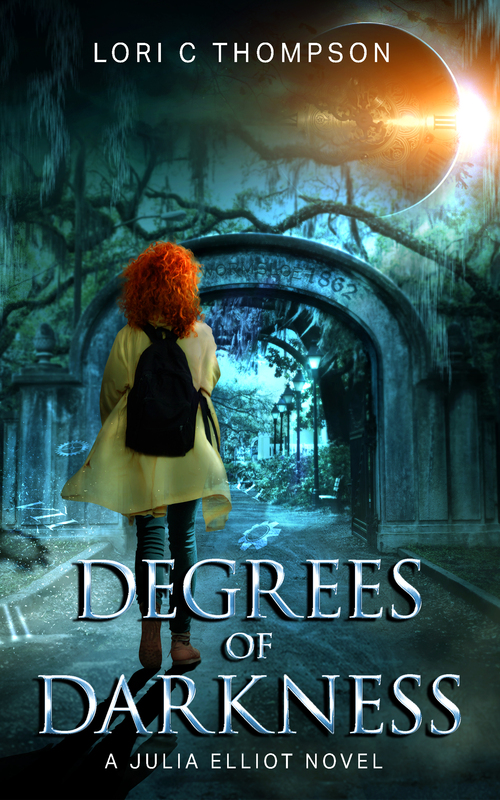 Despite her ability to see the future, Julia is not prepared for the effect Reave has on her or the connection she feels to the Savannah of the past. She feels a sense of belonging for the first time in her life, to the city and to the man. How will she leave them if she is able to stop Eli and the time comes to return to her present?